Recovery is key! In every sport. Without recovery, there is no improvement. The simple principle is called „super-compensation“, but enough theory for now. A few days ago, I ran my first ultra race. The UTCT , a - in my case - 65km trail race with 3100m of positive elevation. It went fairly well [see race review] and I even managed to finish 6th overall in a time of 7:42:20h. Give the deeper analysis a read, if you’re interested in my race and nutrition strategy. Did you know that running extends your life? The study "Running as a Key Lifestyle Medicine for Longevity“ by Dr. Lee and colleagues proved that people who are running regularly are living healthier and longer. In contrast to previous studies though, Dr. Lee presented astonishing numbers. Running increases the expectation of life as much as no other sports activity. In less than two weeks a few elite runners are taking up the challenge to run sub 2 hours in a marathon. It's going to be a special event at the Formula One track in Monza under very special conditions. Eliud Kipchoge, Lelisa Desisa, and Zersenay Tadese will try to break the "impossible" mark and show that the human body is possible of running that fast over this historic distance. Just as Roger Bannister running the first ever sub-4-minute mile, enabling several other runners to break this mark in the same year. My mission to run sub 2:40h was definitely less sensational for the running press and my approach also a lot less scientifically. And still, it was a big step for me. Compared to my preparation prior to my last personal best in Vienna in 2015, I also changed my approach a bit. In the following, I'll give a deeper insight into my preparation and give you my five key learnings from it. We are supposed to run. Already our ancestors hunted animals down by running. But how does one become a runner? How do we leave behind our lazy lifestyle, like taking the lift instead of the stairs, and start doing the oldest and best exercise instead: running? Sometimes to go out running needs a lot of motivation. Especially on grey and rainy winter days, but sometimes also after long days at work. To meet up with a running buddy can fix this problem and get you off the couch. Let me give you some advice on how to find and pick the right running partner. 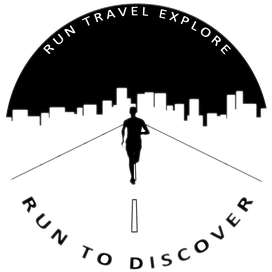 Copyright © 2018 RUN TO DISCOVER / Florens von der Decken. All Rights Reserved.